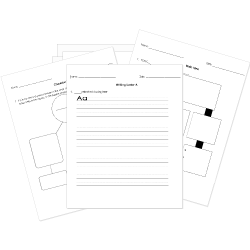 You can create printable tests and worksheets from these Grade 7 A Wrinkle in Time questions! Select one or more questions using the checkboxes above each question. Then click the add selected questions to a test button before moving to another page. What does the "tramp" steal? What is Mrs. Murry's job? What is Meg's strongest subject at school? Which of these is Meg's dog? Which character loves to quote famous people and talk in different languages? In Chapter 4, what was the name of the planet that the characters "wrinkled to?" Which member of Meg's family is missing? Why did Meg get in a fight in the opening chapter? What message does Charles Wallace need to tell his three friends in the woods? In Chapter 4, what did Mrs. Whatsit change into? Who ends up being the "tramp"? Mrs. Who's method of speaking in quotations from famous thinkers is an example of what literary method? When Meg, Calvin, and Charles were riding over the planet, what did they see that felt like evil? In the beginning of Chapter 4, why did Meg feel horrified? Which school subject would Calvin probably do best in? Why do town people think Charles Wallace is dumb? How does Charles Wallace make walls move in the CENTRAL Central Intelligence building? Which of the following is NOT used as a weapon against IT?